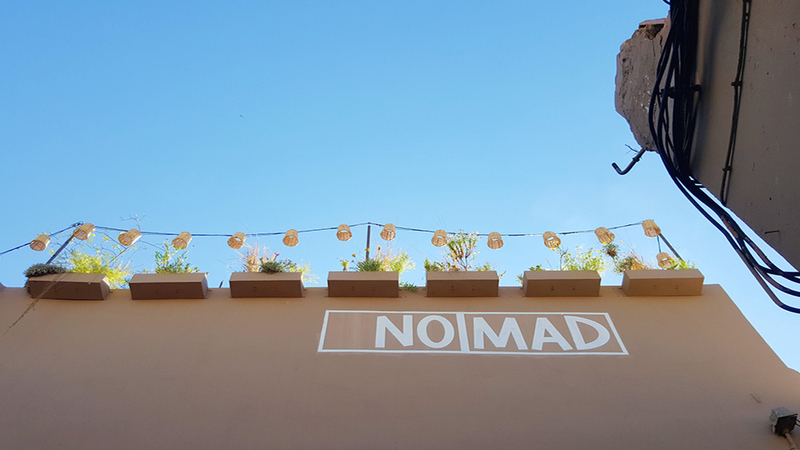 Cast in the Medina above the old slave square overlooking the Atlas Mountains, Nomad has evolved as a stylish foodie destination within historic Marrakech. Located on opposing upper-level terraces, the space features a lively open kitchen and dining room as well as a popular bar that serves until 1am. Decor and design mix a French 60s feel with modern Moroccan influences and fashionable bohemian vibe. A Modern Moroccan menu rooted in local produce and exotic spices. A mix of freshness and simplicity yields an innovative variety of vegetarian dishes, slow-cooked meats and poultry served in an array of earthenware by local design label Chabi Chic. A street level shop is a collaboration between the eatery and local design label Chabi Chic, offering housewares, spices and oils.